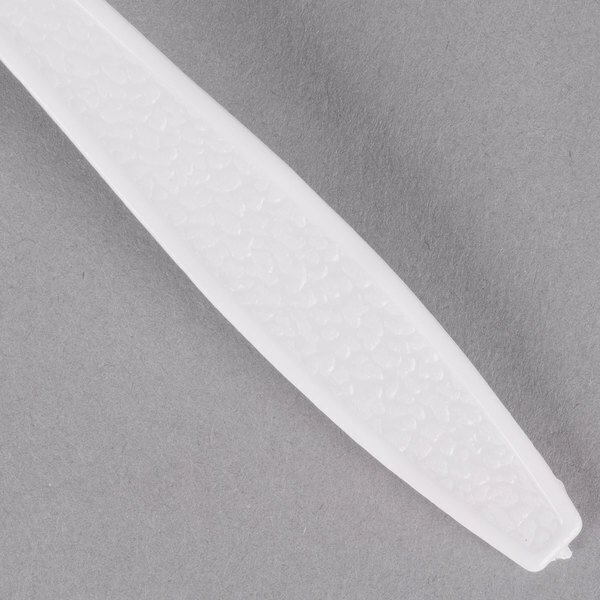 Enjoy the ease of disposable flatware with this Visions white plastic soup spoon! 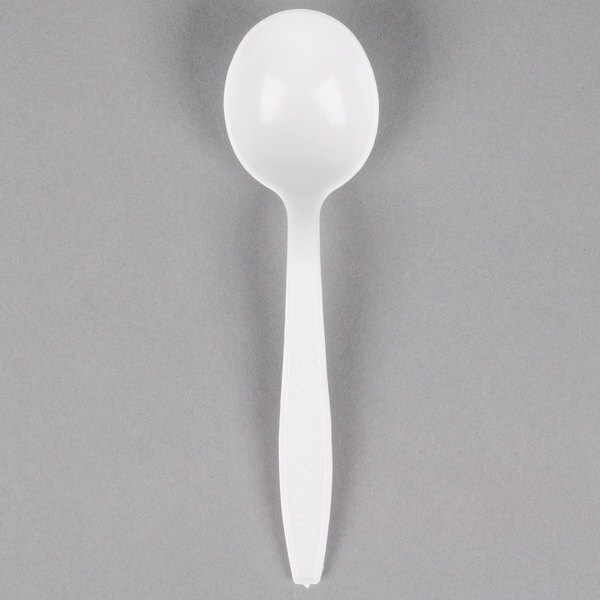 Perfect for your take-out restaurant, cookout, party, gathering, or other catered event, this Visions white heavy weight plastic soup spoon will exceed your serving needs! Complete your plastic cutlery setting, or use it to fill your flatware bins at your snack shack or concession stand. 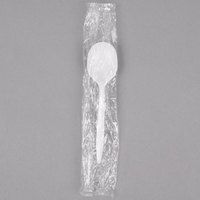 "Top quality plastic spoons. Bright white, clean looking. They can hold up to very hot soups and stews without softening. They are strong enough to wash and re-use if desired." The sturdy heavy weight construction helps prevent this soup spoon from bending, breaking, or snapping. This high-quality alternative to ordinary plastic flatware even provides additional support to handle heavier foods like chili or gumbo. 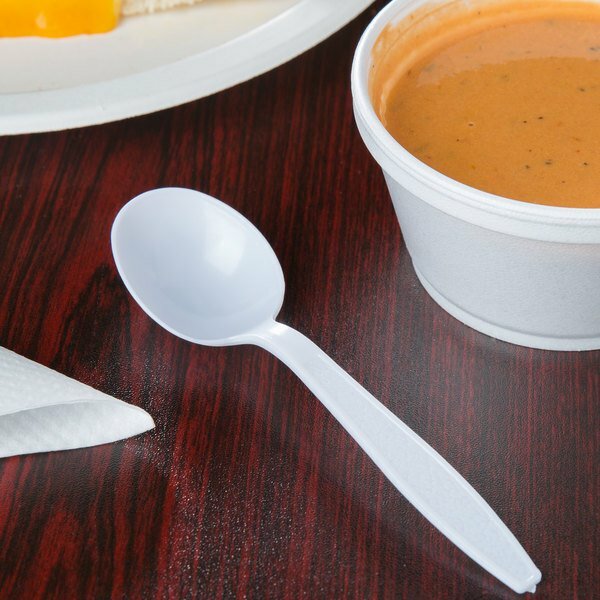 Made of durable polystyrene, this virtually shatterproof disposable soup spoon is strong enough to last through your meal service, and can be easily disposed of, making cleanup a breeze. Each handle has an intricately engraved design that adds a simple touch of style and sophistication. Plus, the white coloring is complementary to virtually any dining environment! These were the perfect size, durable and worked perfectly for our to-go orders. Our guests thought they were the perfect depth, they weren't too large to fit in one bite. We would for sure order again! These are perfect. Really heavy duty! They hold up to hot soups. Great quality and strong. Perfect size too. Also they are less than half the cost then buying from my local food rep. I highly recommend. We love our soup spoons! It a nice switch between the traditional oval spoon. 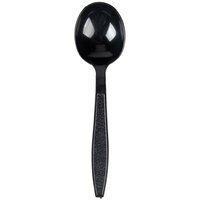 We also use these spoons for our acai bowls. We will reorder as needed! Great soup spoons for an unbelievable price! We were paying nearly double this price from a food service provider in our area. 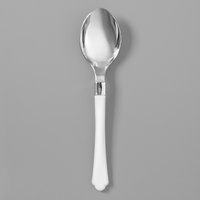 These spoons are almost identical to what we were getting, if not better! Very sturdy plastic, holds up well to use with very hot foods! We prefer this spoon because it is not flimsy. We serve very hearty soups and sandwiches, so we needed heavy duty options for our silverware. These work wonderfully. Good product for the price. The handle was a bit thin which made it a little difficult to use but the weight was good and people were able to eat their beef stew without them breaking. These soup spoons are good quality and difficult to come by. They are sold in lots of 100 which is a great amount. The price is cheaper per unit than buying at the dollar store, Costco, and BJ’s. These places never carry soup spoons so the price and quality combined make a wonderful purchase. 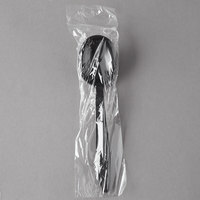 Because many stores do not carry plastic soup spoons we decided to purchase these heavyweight plastic soup spoons from the website. 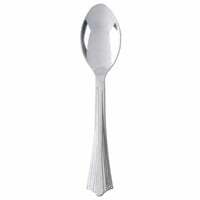 They are really good quality and much heavier duty than the medium weight soup spoons available. 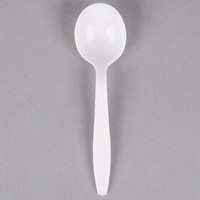 The visions white plastic heavy weight soup spoon is a great product. Its a good size not too large. It is strong plastic and does not bend or break easily. We used these for a soup and salad fundraiser. They were not only a great quality but the best price around! Will definitely be ordering for our next event in the spring! Use for soup or ice cream sundaes. These spoons are durable and hold up better than the cheap spoons of lower quality. They are the right price for the quality! Great buy. Great buy! I love these for the birthdays and parties. 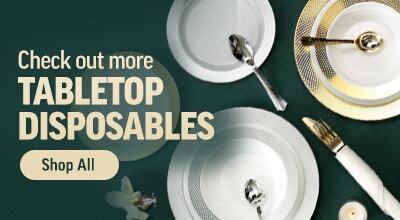 Less dishes. If you have more than you need you can always take them down to your local schools and donate them! This is a high-quality item, for a great price. I highly recommend all of the products in this line as they look and feel more expensive than they are. 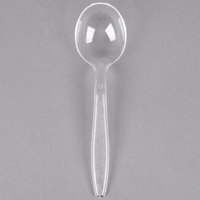 These Visions White Heavy Weight Plastic Soup Spoon very good quality and are perfect for parties and events. I highly recommend purchasing them. 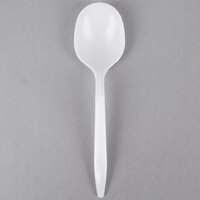 These spoons are the best plastic spoons around. They are a little pricy when you compare them to the medium weight style, but once you feel the difference you see why. They hold heavier foods like thick soups and chili without bending under the heat/weight. And their cost is still cheaper than what my local restaurant supply store sells a case for! 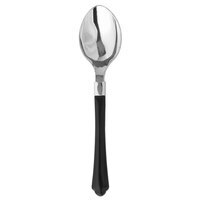 If you serve soup, this is the spoon for you, no complaints from customers about regular spoons not good enough for those hearty winter soups. Great spoons! They are definitely heavy weight for heavy foods. Very strong and worth every penny. It can hold lots witj one scoop and it is perfect for any event. These spoons are great and of a decent quality for the price. They do not break while in use and they feel like a heavy duty or high quality utensil. I definitely recommend them. These are the perfect soup spoons! 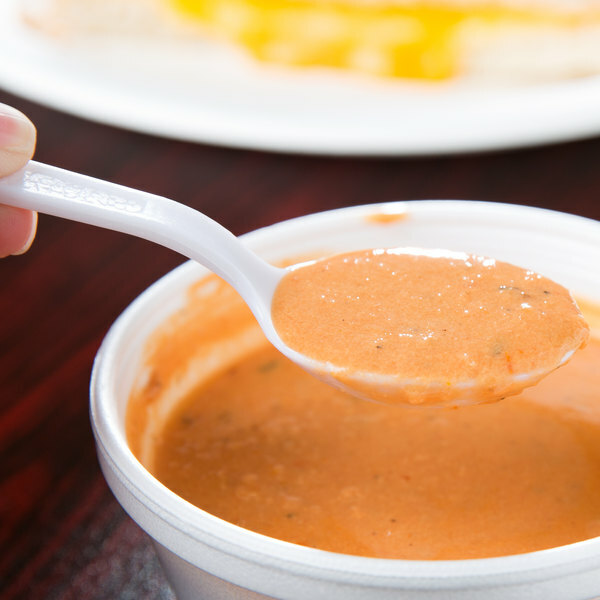 You can actually get a full bite of soup, and don't have to worry about the neck of the spoon bending or breaking while you eat. Used the Visions White Heavy Weight Plastic Soup Spoon to eat bbq pork. I like that you can use the spoon for the little ones to use while they are eating their bbq pork. 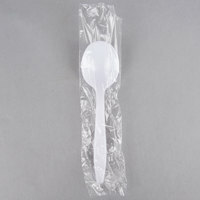 These plastic spoons are great quality at an inexpensive price. They are strong and don't break easily. I use these regularly for times that I need disposable cutlery...I would purchase again. Tried out this soup spoon but wasn't really impressed because the spoon part seems very deep and it's awkward to eat with. It's nice to use if you have a very large catering but I probably wouldn't order this spoon again. We appreciate your review, Kevin! If you are looking for a different product that will better suit your needs, please contact our Customer Solutions team. 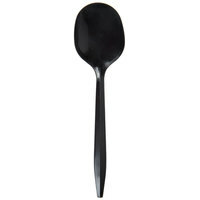 I love these Heavy weight soup spoon, hold up well, Super value! They are strong enough to do the job well and we would buy these again . 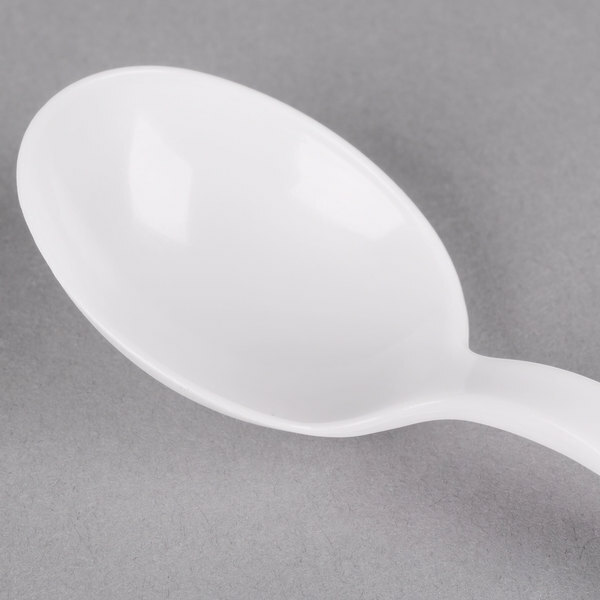 Top quality plastic spoons. Bright white, clean looking. They can hold up to very hot soups and stews without softening. They are strong enough to wash and re-use if desired. Excellent spoon. Very sturdy and rugged. The price is prohibitive for an ice cream shop, so we've found another option that's not quite as "excellent" but that will do the job. These would be our first choice. While these are OK, they are not shaped well for soup eating. They are too deep and s/b more of an oblong shape than round. 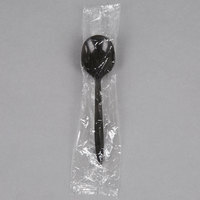 I would like something in plastic that resembles a standard soup spoon. Thank you for your review! 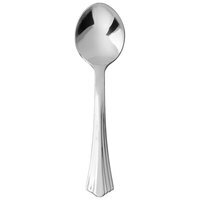 If you would like to try a different style, check out the WNA Comet 640155 heavy weight Reflections silver plastic soup spoon. These are really nice, although we only use them in the fall and winter because that's the only time we have soup. But, when used they are very useful. And heavy duty. These spoons and all of the plastic cutlery are of nice quality. They are sturdier than others I have purchased and are of good size.